Why is my text size so small after changing my screen magnification to 125% and back? I'm experimenting with DPI settings. When I set it to 150% it is fine. Everything is 150% as it is supposed to be. But when I reset it to 100%, some menus (context menus and most programs' menus) become too small! As you can see, the font size on the context menu is too small. Should be the same size as the fonts on the desktop. This is really annoying, I cant reset it back to default. I tried to set to 150%, back to 100%. The result is the same. On 100%, the fonts are too small on context menus. I found a solution. Switched the windows them to classic, deleted my custom theme and than switched to default windows aero, and customized that. Not the answer you're looking for? Browse other questions tagged windows-7 dpi or ask your own question. 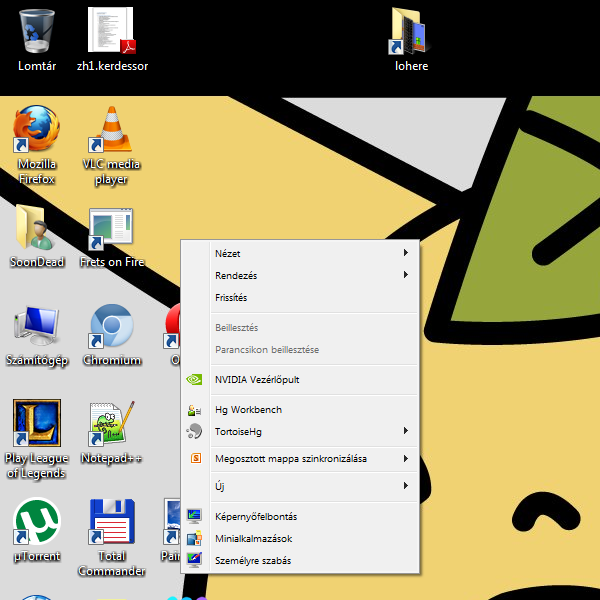 How to change the default system dpi? How do I configure Firefox to respect the my native DPI? How to take screenshot at “100% size” on a high-DPI with scaling enabled?